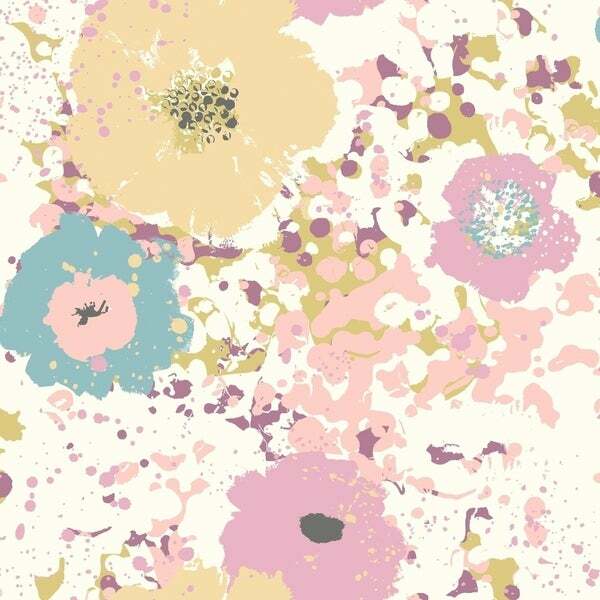 Spontaneity Wallpaper 20.8 in. x 33 ft. 57.2 sq.ft. Spontaneity Wallpaper - Teal/Plum 20.8 in. x 33 ft. 57.2 sq.ft. Culture Club by York Wallcoverings gathers global artistry to create a dynamic fashion-forward collection of diverse contemporary home decor incorporating imaginative color and radiant metallics. Durable and easy to remove from primed walls, this friendly to hang unpasted nonwoven wallpaper is created with a special blend of fibers, making it both washable and tear resistant.